A. Vogel Bioforce Echinaforce is a traditional herbal remedy for the symptomatic relief of coughs, colds and influenza type infections and similar upper respiratory tract conditions. Echinacea has been used for generations for the relief of respiratory tract conditions. Take 15 drops (0.6 ml) in a little water two to three times daily. Not suitable for children under the age of 12 years. Tincture of Echinacea purpurea herb and root. 0.6ml drops contain the equivalent of 285mg whole fresh plant or 64.5mg whole dried plant. 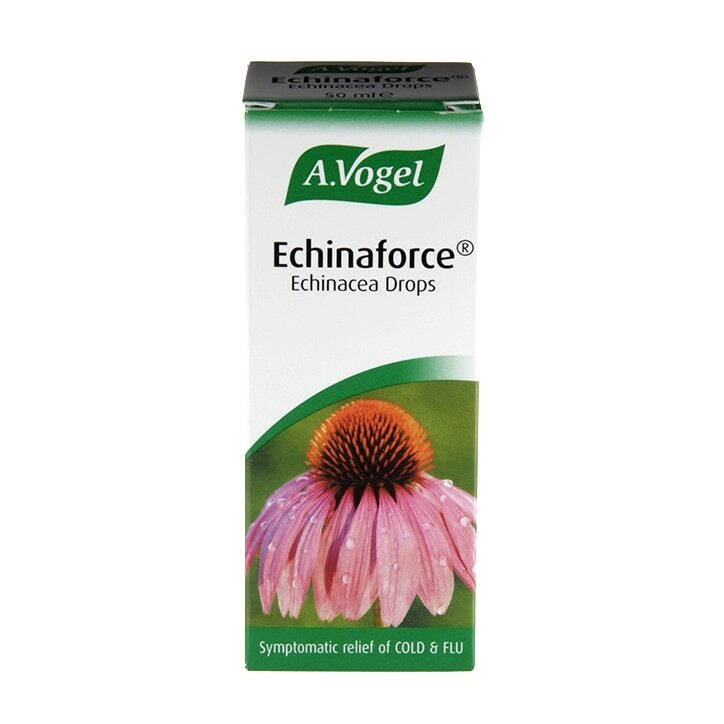 A.Vogel Echinaforce Echinacea Drops is rated 4.9 out of 5 by 48.